With so many windows cluttering up the screen, you can see how easily the windows overlap one another and just get in the way. To help solve this problem, Visual Basic offers a docking feature. 1. Move the mouse cursor over the title bar of the window you want to dock (or undock). 2. Double-click the left mouse button. Visual Basic automatically docks (or undocks) your chosen window. An Options dialog box appears, as shown in Figure 1. 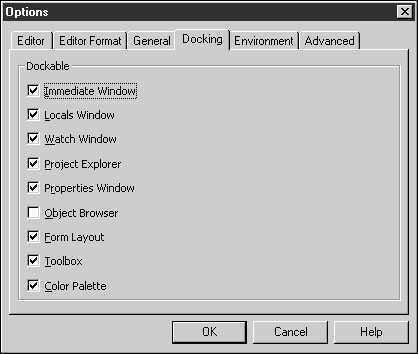 Figure 1: The Options dialog box. 2. Click on the Docking tab. 3. Click on a check box to place a check mark in or remove a check mark from that check box. A check mark means that the docking feature is turned on for that particular window. An empty check mark means that the docking feature is (surprise!) turned off.